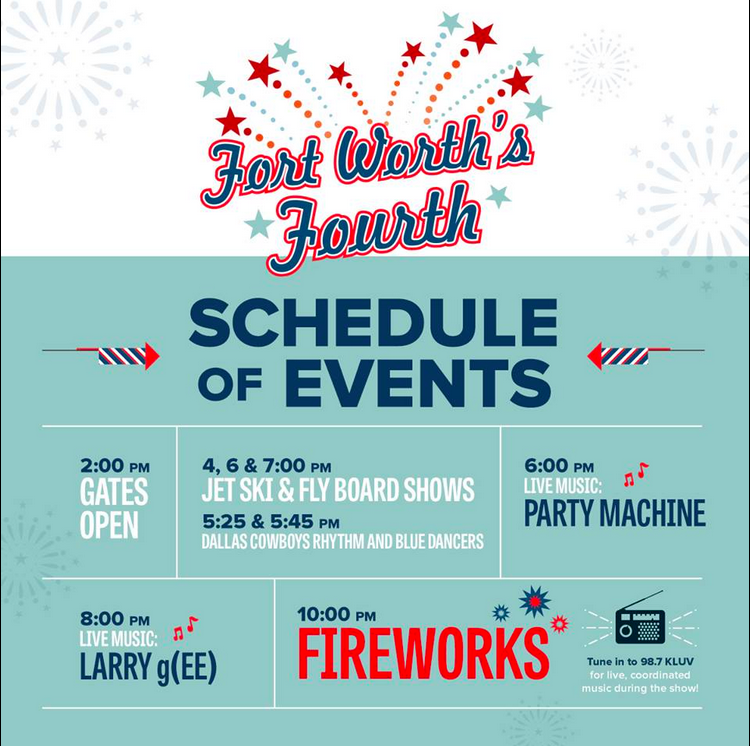 Weekends Count Magazine - Education & Family Travel: Make Plans to Attend "Fort Worth's Fourth" at the Panther Island Pavilion - July 4th! Make Plans to Attend "Fort Worth's Fourth" at the Panther Island Pavilion - July 4th! When planning our annual fourth of July celebration schedule, I always look for the largest celebration in the area! This year, it is definitely the Fort Worth's Fourth Celebration! It is definitely the largest "July 4th Fireworks Show in North Texas"! - A FREE KidZone (sponsored by the North Texas Chevy Dealers). Plus, music and TUBING for everyone! The tubing supplies are FREE! We are super excited about the festival fare! These items range from: lemon chills and pizza to pretzels and street tacos. Yum! We cannot wait! Check out this video! Did you attend last year? Which activity did your family enjoy the most?